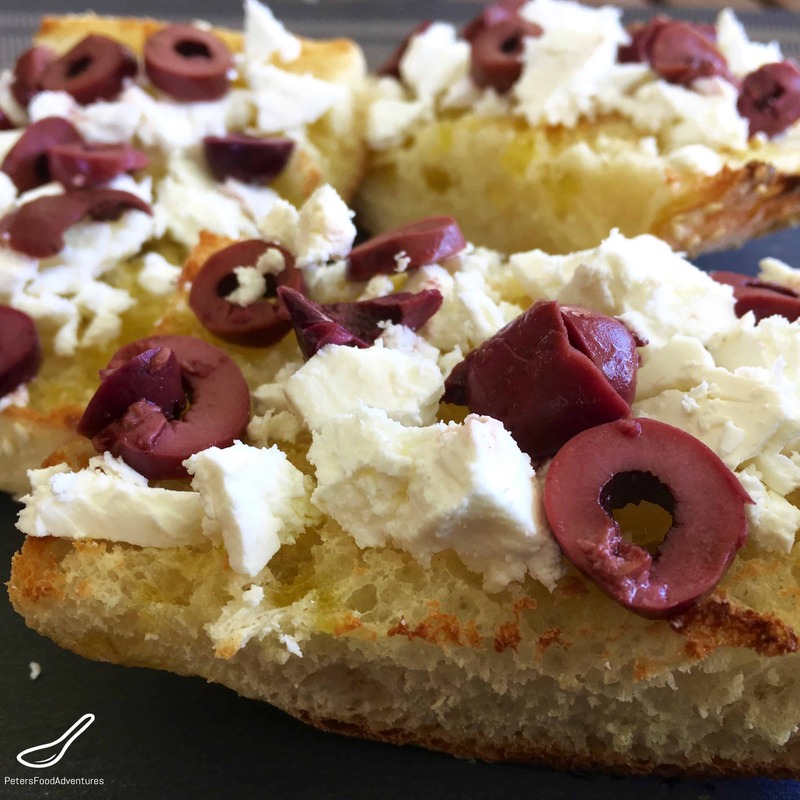 I am hooked on toasted Turkish Pide with Olives & Feta! Pide is pronounced pee-day, is a Turkish sesame seed sprinkled flat bread traditionally baked in clay ovens. There are many regional variations of this Turkish delight. Often people don’t know how to eat Pide Bread, some slice it into thin soldiers and eat it with dips. Some use it for making delicious sandwiches. I cut them in half and make them into open faced toasted sandwiches, with different toppings. I view this as a breakfast toast with fancy toppings! 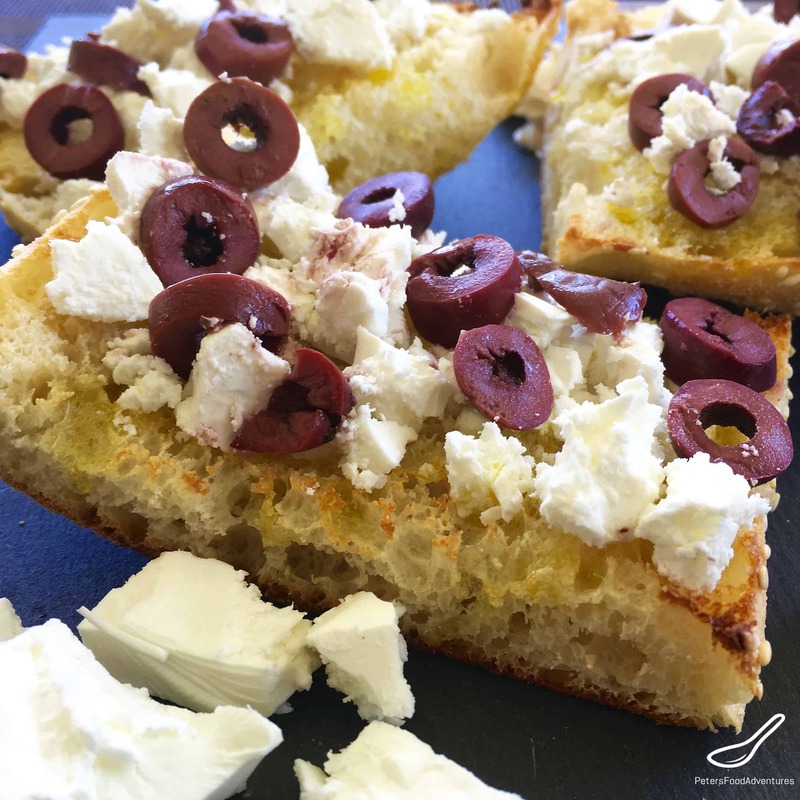 One of my favourites is toasted Turkish Pide with Olives & Feta which I eat for breakfast, for lunch and as an easy snack. Please don’t buy the black olives sold in cans. They are tasteless and are of poor quality. The tastiest olives for this salad are dark purple Kalamata Olives, either sold in the deli or in glass jars. Kalamata Olives are also sold as Kalamon Olives, only if they are not grown in the Kalamata region of Greece. It’s the same meaty flavorful olive, just with different names, due to where it was grown. My last instruction is to use a good quality Extra Virgin Olive Oil. 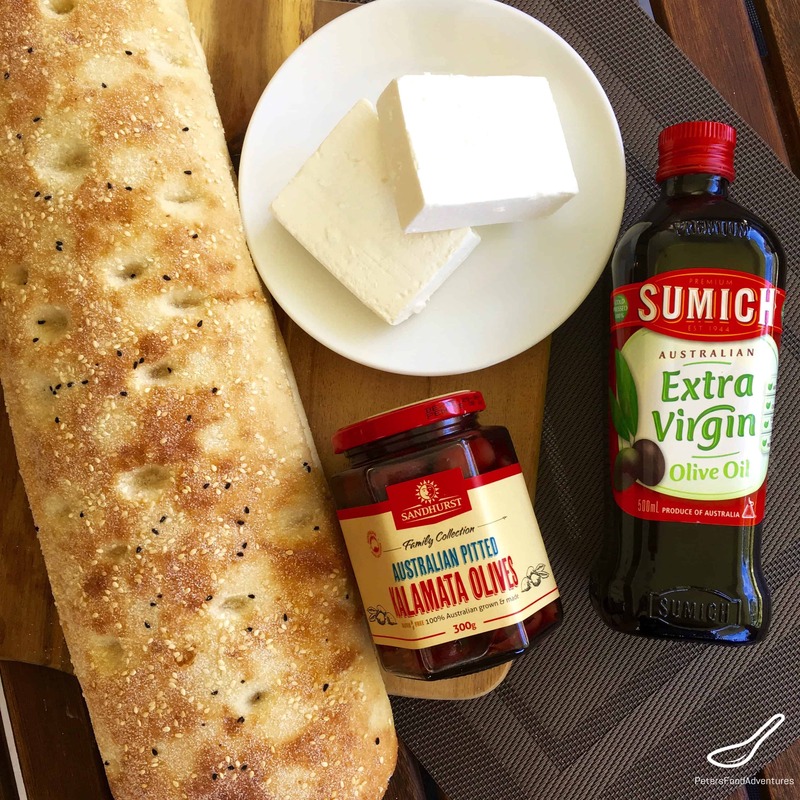 Be generous when pouring it on your Toasted Turkish Pide Bread. 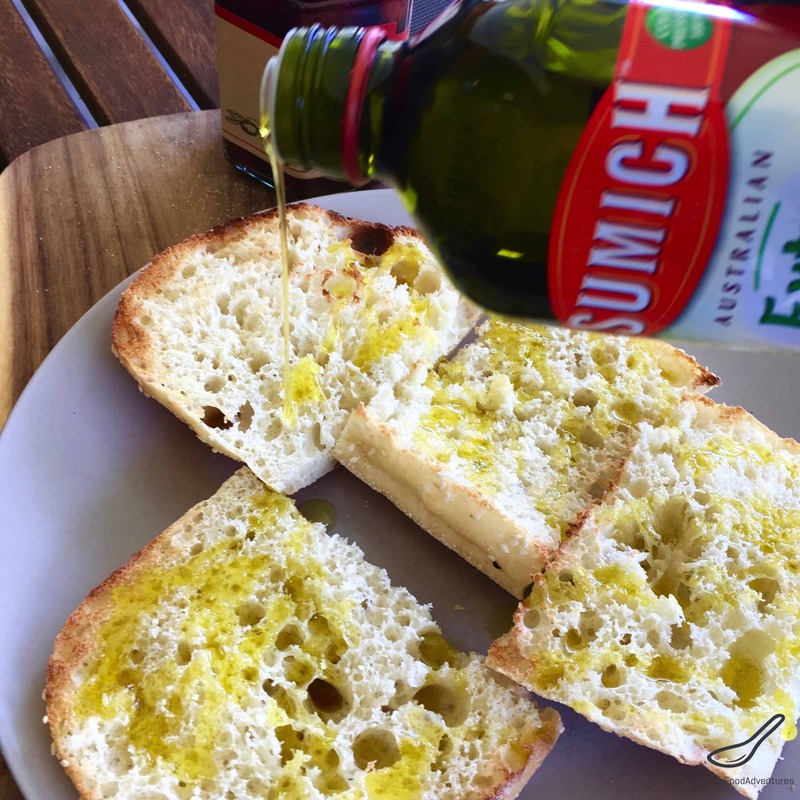 Think of it like butter on toast, except it’s easier to pour EVOO instead of buttering toast. My good friend Katerina (from Greece) introduced me to this delicious meal. Thank you Katerina! Turkish Pide with Olives & Feta is an delicious Mediterranean inspired meal. Ridiculously easy to make, ridiculously delicious. Bon Appetit! Приятного аппетита! Slice the Turkish Bread in half lengthways and toast until golden brown. 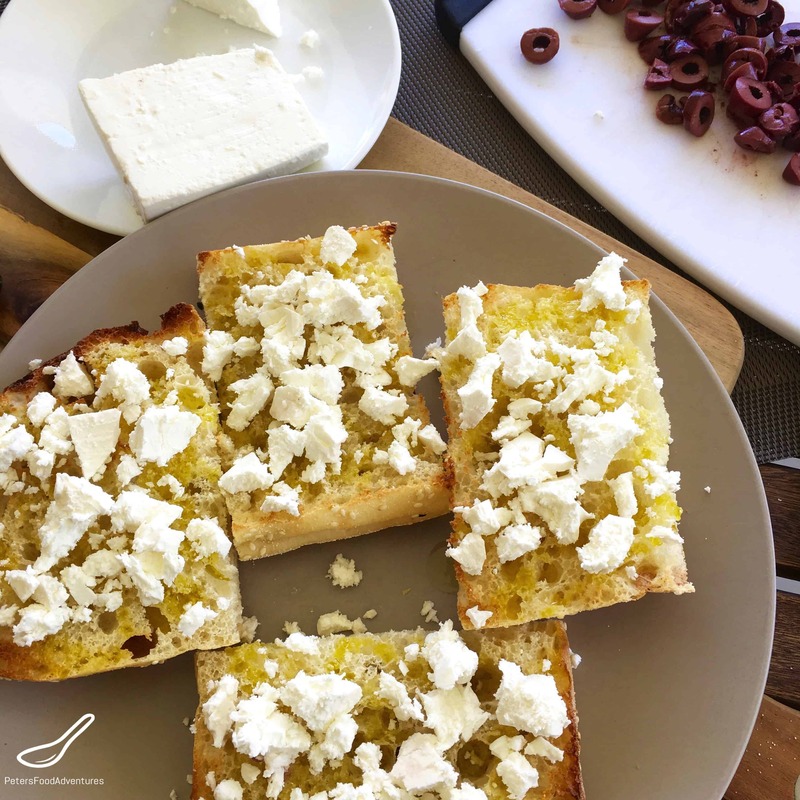 Greek Feta would be what you would expect to eat with this Mediterranean treat, however I love the creamier Danish Feta Cheese. Goat or Sheep Feta work well also. Thanks! Definitely a family favourite! Thanks Nina for checking it out! I’ve been eating this all week, can’t get enough of it! ???? Made it, ate it all of it! Couldn’tstop eating it!